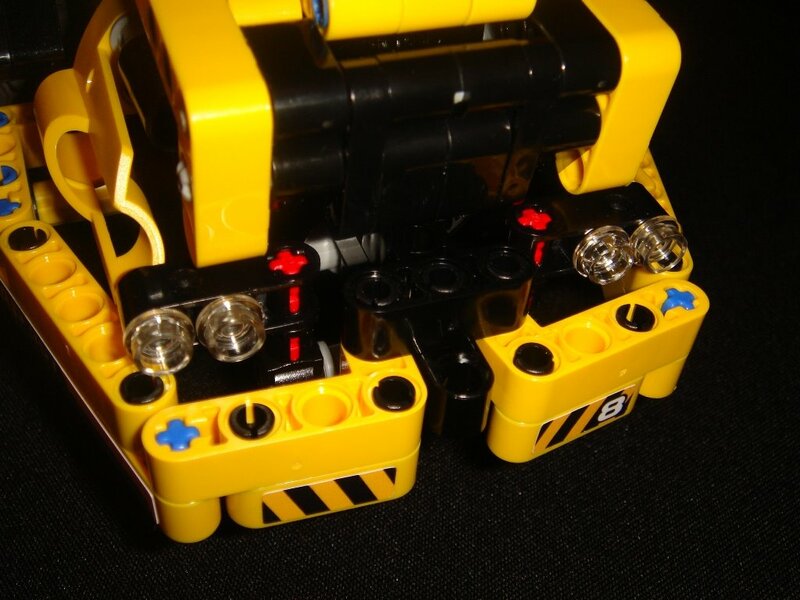 TechnicBRICKs: It is a new sort of TECHNIC beam indead! Well... it seems in the end, there is really a new beam part being introduced in 2009. As suspected before, but on the wrong set a the time... there is a new 'T' shaped 3x3 beam. There will be several of them (6 at least - 4 on back and 2 in front) within the new PF Dumper Truck (8264) and also some at the Monster Truck (8261), both to be released next January. 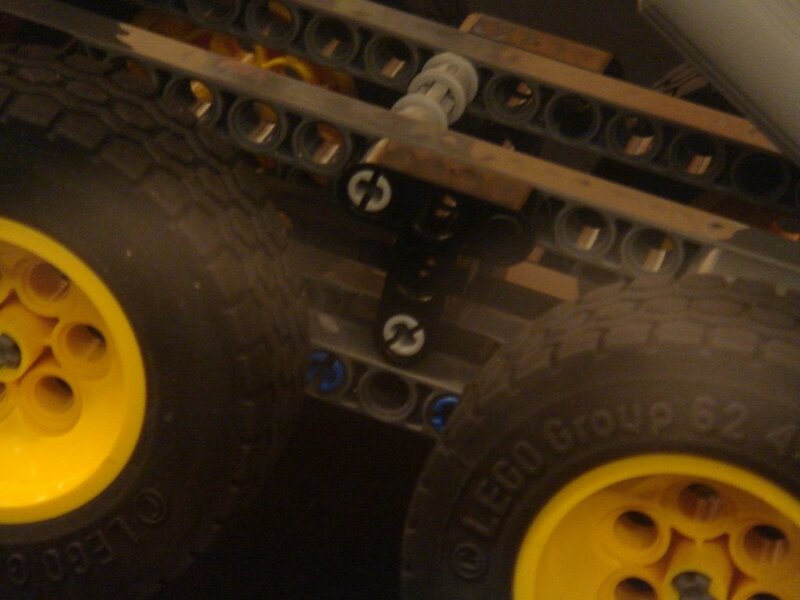 So apart from new large yellow TECHNIC panels, these models have more surprises for us. The new models, have them in black, but hopefully we will see later them in other colors as well. 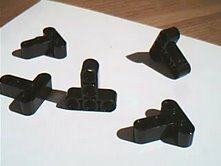 Below, I cand find these new parts applied to the upcoming TECHNIC sets. Used at Monster Truck (8261) in the leftmost photo, and Dumper Truck (8264) on the next two. ... yes I know, the photos are not so good. Oops, sorry! I was the one who kinda disconfirmed the rumour. I still don't think there will be any in the Bionicle set (where the rumour spread from). I feel bad for letting the hope die down though! These look awesome. I hope they will have them in smaller sets. 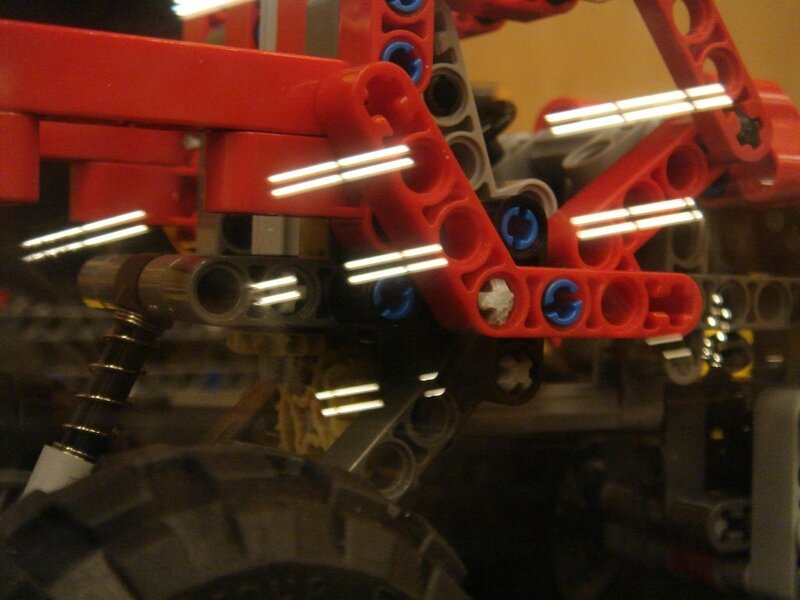 Definitely it seams it was not a 'T' beam, in that BIONICLE set.